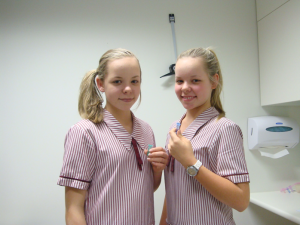 Memory, Attention, and Problem Solving (MAPS) project, also known as the Cognition Study, a component of the Brisbane Adolescent Twin Study – data collection 1996-2012 – analyses ongoing. This long running project was led by Margie Wright in collaboration with Nick Martin (QIMR Berghofer Medical Research Institute). Other researchers involved at different stages of the project include Gina Geffen, Laurie Geffen, Glen Smith, Michelle Luciano, Graham Halford, David Shum, Glenda Andrews, and Naomi Wray. Cognitive and behavioural data were collected from 16 year-old twin pairs and their siblings (N>2700). The broad aim of the project was, and is, to investigate individual differences in cognitive abilities, and in particular, the contribution of genetic and environmental factors. The data continue to contribute to worldwide initiatives exploring the genetics of cognitive function. Hansell, N. K., Wright, M. J., Geffen, G. M., Geffen, L. B., Smith, G. A., & Martin, N. G. (2001). Genetic influence on ERP slow wave measures of working memory. Behavior Genetics, 31(6), 603-614.